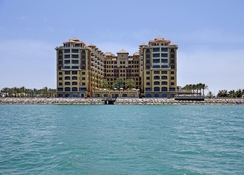 Marjan Island Resort & Spa is located on a pristine coral-shaped island, fringed by the clear waters of the Arabian Gulf, in Ras Al Khaimah’s man-made archipelago. This 5-star hotel oozes luxury, and its idyllic surroundings boast an away-from-it-all feel - but for guests seeking a faster pace, the vibrant city of Dubai can be reached in less than an hour’s drive. The resort is an unrivalled address for comfort and tranquillity, featuring 299 elegant rooms and suites complete with indulgent amenities that ensure a pleasant stay. The dining scene is equally impressive, with even more focus on taste, flavour and authenticity thanks to the hotel’s alcohol-free rule – including four fantastic restaurants and three bars to indulge in. Leisure lovers are in for a treat, with bundles of beach and watersports activities on offer, plus a large outdoor pool (plus a children’s pool) to lounge by. 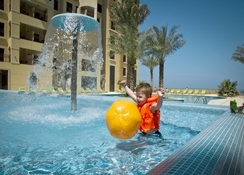 The Pirates Club caters to toddlers and teens aged 3 – 15, so adults can relax in the hotel’s lush La’mar Spa. Sitting pretty off the coast of Ras Al Khaimah (a 40-minute drive from Dubai city), Marjan Island Resort & Spa’s seafront location is surrounded by gorgeous white-sand beaches, cultural landmarks and water attractions. 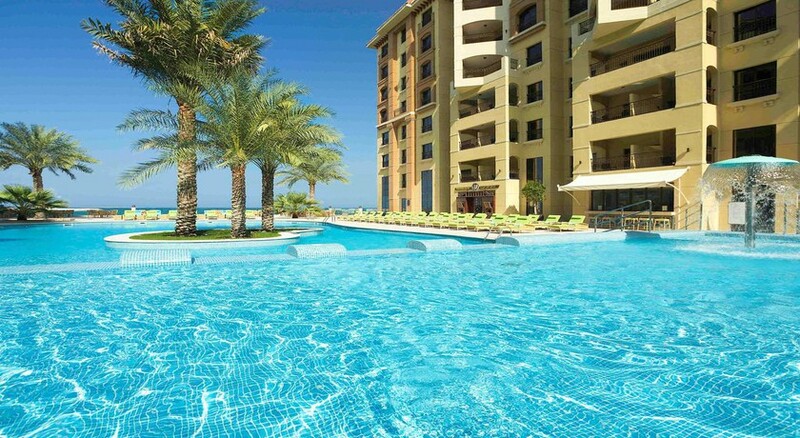 The Al Hamra Mall is a 5-minute drive from the resort, and the popular Ice Land Waterpark is a 10-minute drive. The 299 rooms and suites at Marjan Island Resort & Spa are comfortable, spacious and beautifully designed with Arabic-inspired furnishings. 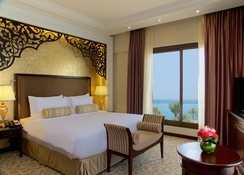 Guests can choose between Superior Rooms, Premuim Rooms, Junior Suites, Marjan Suites, Two-Bedroom Suites and Three-Bedroom Suites available – all sporting first-class amenities to ensure the comfort of its guests. Some of the rooms offer separate living and dining areas, plus a large balcony overlooking the resort. Marjan Island Resort & Spa has a delectable dining scene, with four excellent restaurants and three bars to indulge in during your stay. The beachfront surroundings provide a laid-back ambience and the varied cuisine served will appeal to all types of guest. Al Liwan Restaurant serves up European, International and Local fare, Zaitouna House offers Lebanese bites with causal, al fresco seating, Al Forno Restaurant is where you can indulge in pizza and pasta by the poolside and Amouage Lounge & Terrace oozes authenticity serving traditional snacks and Moroccan tea, alongside flavoured shisha to enjoy. Al Majlis, Infinity Pool Bar and Turtle Beach Bar are perfect for light refreshments during the say. This island resort is tailored for family fun, with bundles of beach and watersports activities – think snorkelling, banana boats, wind surfing and fishing trips – plus a great outdoor pool area. Explore the surrounding area with ease, since there is plenty of golfing, boat trips, 4x4x safari tours (a must for taking on the rolling sand dunes) and cultural discovery walks to enjoy underneath the Hajar Mountains. Embrace Arabian Sea Waters in the hote’s sumptuous spa, with relaxing treatments, saunas, jacuzzi’s and more – or get active in the gym. We would like to take this opportunity to highlight some important information about accessing Marjan Island on 31st December. The access to Marjan Island will be restricted as of 6pm on 31st December 2018, therefore we request that all your guests bring a printed copy of the confirmation with them (which will be requested at the gate).